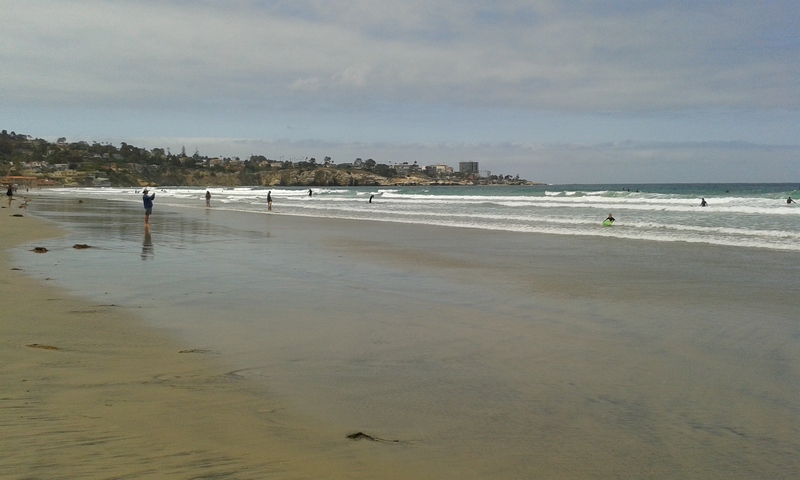 Goodbye La Jolla Shores, we loved you well and will miss you much. 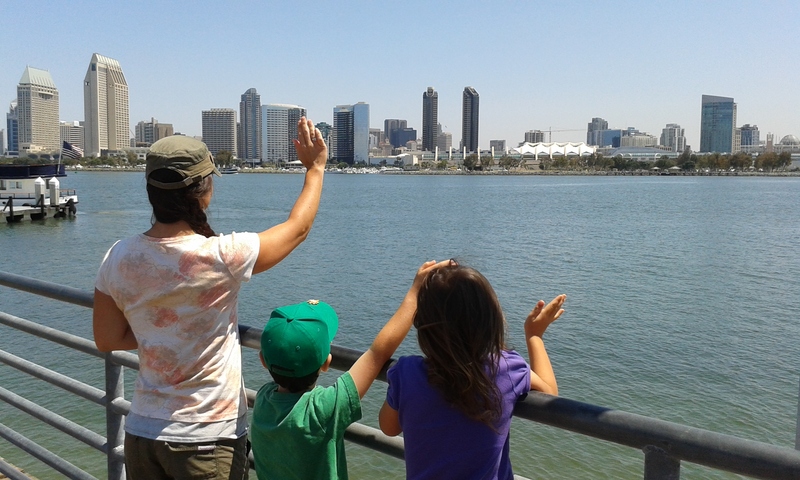 Saying goodbye to San Diego from the Coronado pier. Today, I could feel the pace of life beginning to switch. I normally error on the side of rushing and invoking anxiety in my family when there’s a deadline. But today, I’m proud and relieved to say that I was able to speak softer and enjoy myself while we packed up and cleaned the guesthouse we’d been staying in the past month (which, I must say, was totally awesome, like living in a private villa with access to a pool and sweeping views of East County San Diego). 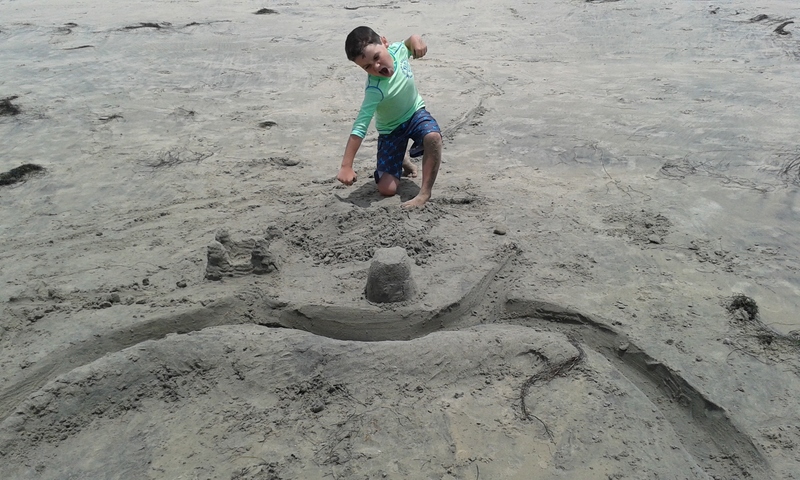 It’s time to leave the beach, so my son must not bring the hurt. My wife has been telling me for the past couple months that she’s looking forward to taking life one moment at a time, not rushing to accomplish everything. She seems very excited about this and there is a look of peace on her face when she tells me, so I don’t dare to tell her the idea is appalling to me. I can’t fathom being in Thailand and not be on the farm, getting my hands dirty, learning the seasons and pace of the farm, making notes for next year’s planting. There’s just so much waiting for me. But. I know that my wife is right. She always is afterall. It’s probably why I married her. All this rushing around, pushing myself to cut a few minutes off of one event, driving faster than I should, eating quicker. It may get me to the destination, but the journey is sapped of it’s flavor and it leaves me tired. Relationships suffer, I get heartburn, or even a speeding ticket. My wife continues to remind me that Jesus said, “Do not worry about tomorrow, for tomorrow will worry about itself. Each day has enough trouble of its own.” And again, she’s right. All the worrying and rushing I’ve done has accomplished nothing. But when I slow down, take a deep breath and live in the moment, life is so much richer. I can think of nothing for fitting for our new life, our Good Life, in Thailand.